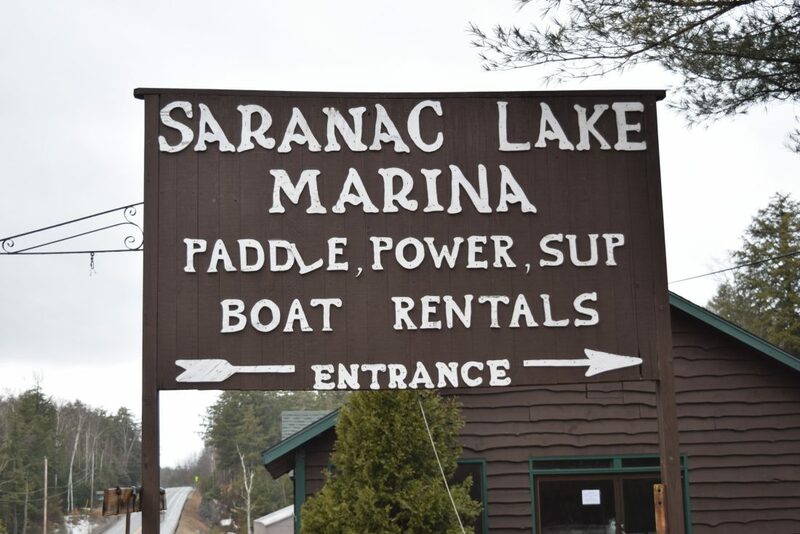 SARANAC LAKE — Any improvements to the Lower Saranac Lake marina will continue to remain on hold as ligation continues in the Franklin County Supreme Court. Judge John T. Ellis found the case to be triable, and unless LS Marina LLC’s appeal to reverse the decision is successful, the case will go to trial in November. 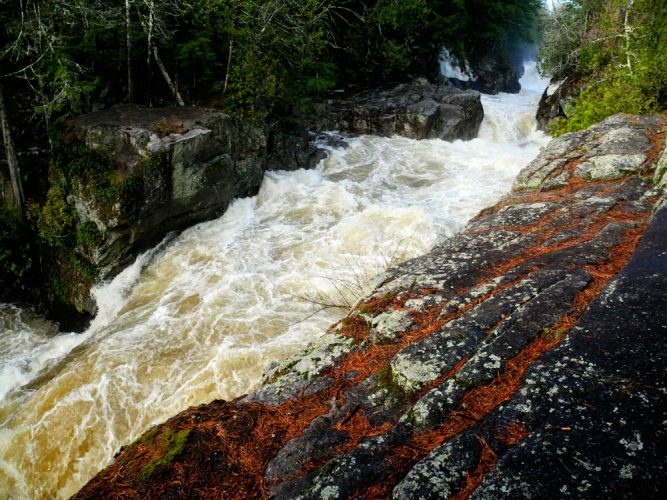 LS Marina LLC had been seeking a summary decision, or a decision without a trial, from the court in a dispute between the marina and Acme of Saranac LLC. That claimed area is a piece of underwater land in the area where the marina would like to expand. The marina is arguing that they own the land through adverse possession. An entity can gain ownership over a neglected piece of land if it publicly moves onto the plot and improves it. State law requires that an entity have possessed the land for 10 years or more. LS Marina argues that it has fulfilled those requirements — as the marina has historically existed in the area, under different owners, since the 1920s. 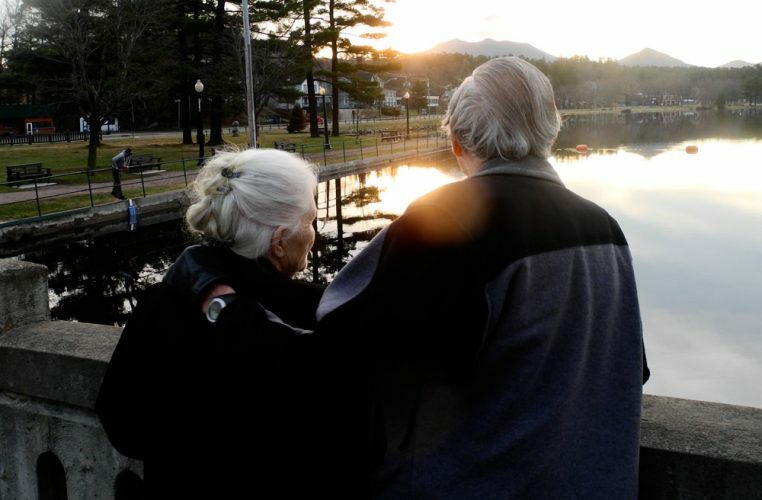 Acme of Saranac, a corporation formed by neighbors of the marina — including William Curran, Fred Roedel, Charles Wilson and Judith Landes, bought the underwater land in 2017. “We’re saying that land, it’s ours under adverse possession,” said Matt Norfolk, of Norfolk and Briggs, representing the marina. The project, first proposed to the Harrietstown Planning Board back in 2013, involves installing docks where the existing mooring field is located at the marina. It would add more than a hundred slips with covered docks to the main marina, and 30 slips to the property’s annex on Lake Street. When the marina bought the property from Crescent Bay, the previous owner, both parties thought they were transacting over the land beneath moorings out on the lake — the area where the docks would be expanded to. 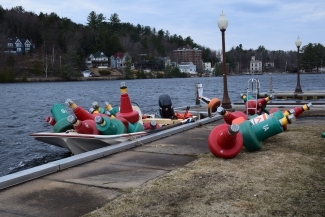 However, after applying for a permit from the Adirondack Park Agency, LS Marina learned that this was not the case — and the marina needed to establish ownership over the lake bottom before the APA would issue a permit. 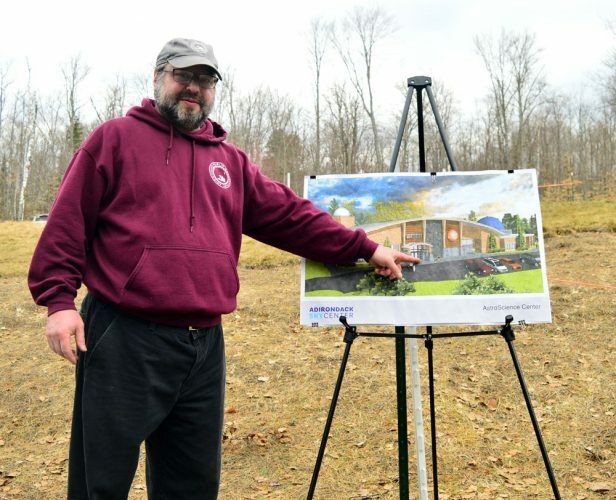 The state Department of Environmental Conservation, after looking into the matter when it initially suspected that the state owned the lake bed, found that 11 acres of the lake bed belonged to a descendant of Donald Russell Moreau. Mike Damp, a partner in LS Marina, sought out Donald’s daughter, Dee Dee, a real estate agent living in Nevada at the time. Damp provided her with maps and old deeds to look over. But in January 2017, the estate of Donald Moreau sold the lake bottom property to Acme of Saranac for $50,000. “We know now it was an intentional move to stop the project,” Norfolk said. The court found that there was a triable issue of fact as to whether a 154-fot boat dock at the marina had existed for long enough for the marina to claim adverse possession. LS Marina has three questions on which it’s basing its appeal, according to a brief supplied by Norfolk. “(LS Marina’s) predecessors in interest had long possessed the entire claimed area, including the portion where the dock sits, for decades prior to the 2006 construction,” the appeal states. Second, the appeal states that the court made an error when it denied LS Marina’s motion for a partial summary judgment, or declaring LS Marina by way of adverse possession the lawful owner of the claimed area not including the 154-foot boat dock. Third, that Damp seeking out Dee Dee was not an overt acknowledgment that LS Marina did not already own the area through adverse possession. Norfolk said he expects a decision from the appellate court in July or August. Acme’s representation from the law firm of O’Connell & Aronowitz could not be contacted by press time. Curran and Roedel could not be reached for comment as of press time.